25% Off Titles in Mother's Day Essentials Collection at Booktopia Discover a wide range of books that can be a great gift idea for Mother's Day. Up to 80% off in Mega Kids Book Sale at Booktopia Get new books for your kids and save up to 80% off your order! Discover $20 Off Fiction Bargain Books at Booktopia Enjoy your evenings while reading a fiction book! Only now you can save $20 off your order. 25% Off Top 100 Bestsellers at Booktopia Are you curious what are the most popular titles right now? Click here to find out. Up to 85% Off Crime & Mystery Books at Booktopia Get that thrilling sensation and shop for crime books at Booktopia with up to 85% discount. Gift Certificates from $20 at Booktopia Need the perfect gift for a friend or family member? Booktopia has gift cards starting at just $20, suitable for any budget. Up to 40% Off Selected Food and Drink Magazines at Booktopia Read about the most popular food trends and discover interesting dishes while reading a selected range of magazines. Up to 85% Off The Mind Books at Booktopia Learn all about the power of mind and self-empowerment from this book range at Booktopia. Save Up To 40% Off Lonely Planet Titles Lonely Planet offers a wide range of books for kids, travel guides, activity books, and more. 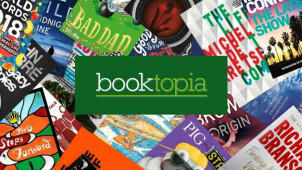 Booktopia is an Australian-owned online-only retail store selling books, eBooks and DVDs nationwide. It was started as a family venture between two brothers, and their spouses back in 1998. They had owned and operated IT and internet software businesses in the past, so making Booktopia work as an online-only venture didn’t take too much effort. Booktopia’s headquarters is currently based in Sydney, where it offers over 4 million book titles to hungry readers with a wide appetite for paperbacks, hardbacks and eBooks. Booktopia is a trusted and well renowned retailer that has garnered the prestigious ‘National Book Retailer of the Year’ award several years running. The substantially sized team behind Booktopia are able to process orders very quickly from its massive, well-stocked distribution centre in Homebush - which means you get your hands on your new books very quickly. Whether you’re looking for some light holiday reading, undertaking some academic learning or sourcing some early learning aids for young children - Booktopia should be your first port of call. Browse for niche subjects, go for best selling titles or popular brands like Peppa Pig, Lonely Planet, Popular Penguins and Parkstone International. Prepare a cosy reading corner, and let your imagination be ignited by your new Booktopia purchases. How do I use my Booktopia coupon? Check out the latest offers for Booktopia listed on vouchercloud. You’ll be redirected to the Booktopia website, then you can start shopping. Paste your coupon code in the box,if there is one available. Click blue ‘Checkout’ button at the bottom of the page. Subscribe to the newsletter to keep up with all the latest offers, flash sales and new book releases. Can I track Booktopia orders? Yes, you can check the status of your order by using your tracking number. Log onto your account to access the info. You can read its policies here. How long is a Booktopia Gift Certificate valid for? You must discuss your request with a Booktopia representative in the first instance. Read the Returns policy here. Booktopia is an online only service, so you can shop whenever you want. Booktopia is one of Australia’s most prestigious online book retailers. Whether you like the look and feel of a traditional book or prefer the crisp and space-saving benefits of eBooks - Booktopia will get you on your way to reading bliss. Use a Booktopia coupon to get your hands on some heavily discounted books, DVDs, audiobooks and magazines covering every genre you could wish for. Booktopia likes to give back to the community and help those who are less fortunate. Booktopia donates a significant amount of its profits (and stock) to a range of charities and educational foundations. Lucky recipients include the Cathy Freeman Foundation, The Indigenous Literacy Foundation as well as numerous schools around the country. Booktopia also sponsors a number of large and small awards programs that recognise Australian authors for their work. If you’re after a little light reading that you can dip in and out of day-to-day - you should certainly check out the Booktopia Magazine pages for inspiration. Whether you fancy a women’s glossy gossip or fashion mag or an informative hobby mag - Booktopia has an impressive selection to choose from. Use a Booktopia discount code to shave some money off your magazine subscription at the checkout. Every hobby, lifestyle trend and general interest topic is covered so you’re bound to find your favourite reading material here.